The below regulatory authorities and industry organizations play a key role in the licensing, regulation or voluntary compliance testing of live dealer platform providers and licensee casinos listed on this site. Malta Gaming Authority – The MGA (formerly known as the Lotteries and Gaming Authority) is the authority responsible for the governance of all forms of gaming in Malta, including remote gambling operator licensing and regulation. Enacted the Remote Gaming Regulations (2004), in so doing becoming the first EU member state to put in place a regulatory framework for online gambling service providers. UK Gambling Commission – Under the UK Gambling (Licensing and Advertising) Act 2014, any operator wanting to participate in the UK online gambling market must obtain a license from the UK Gambling Commission, irrespective of any other operating licenses held. The Commission is responsible for compliance testing and awarding of licenses to appropriate operators as well as dispute resolution and problem gambling advisory services. Italy AAMS – The AAMS (Amministrazione Autonoma Monopoli di Stato) is Italy’s government controlled gambling regulatory body. It is responsible for the issuing of online gambling licenses and regulation of licensees. License holders are required to offer their Italian licensed casino from a ‘.it’. AAMS is also charged with the task of blocking Italian player access to operators that are not locally licensed. Spanish DGOJ – The Spanish DGOJ is charged with the responsibility of issuing licenses, regulating, and in consultation to the Ministerio de Hacienda, taxing online gambling operators participating in the local Spanish market. Swedish Spelinspektionen – The Swedish Gambling Authority (Spelinspektionen) began accepting license applications for Swedens re-regulated online gambling market towards the end of 2018. In January 2019 the first licensees were able to begin operating under the new regime. Danish Spillemyndigheden – The Danish Gambling Authority (Spillemyndigheden) is responsible for licensing, regulation and supervision of all forms of gambling in Denmark including online casinos, lotteries, and land based casinos. The Danish Act on Gambling was one of the earlier European Commission compliant remote gambling laws. Gambling Supervision Commission – The Isle of Man Government’s GSC was formed as a gambling regulator in 1962. Following the enactment of the Online Gambling Regulation Act 2001 (“the Act”) the GSC’s responsibilities extended in 2001 to the licensing and regulation of online gambling operators. Despite being one of the first European region licensing jurisdictions, their list of license holders remains small. Directorate of Offshore Gaming – Charged with the oversight of all aspects of the online gambling industry in the jurisdiction of Antigua and Barbuda. The DOG is a department of Antigua Barbuda’s Financial Services Regulatory Commission and lays claim to being the first jurisdiction in the world to provide a regulatory framework specifically designed to govern online gambling. Antigua Barbuda and the DOG’s licensing regime recently gained a UK Gambling Commission ‘White Listing Status’ affording DOG licensee casinos additional advertising freedoms in the UK. Alderney Gambling Control Commission – Established in May 2000, the AGCC is the authority responsible for eGaming licensing, regulation and player protection considerations for Alderney based online gambling operators. Alderney is the third largest of the British Channel Islands and a self governing dependency of the Crown. It is neither part of the United Kingdom nor the European Union, and has established itself as an e-Commerce centre of excellence and leading online gambling licensing jurisdiction. Kahnawake Gaming Commission – The Kahnawake Gaming Commission was established in 1996 and governs all aspects of online gambling related activity within the Mohawk Territory of Kahnawake, North America. The Commission has an extensive list of licensees, and does have provision in its regulations for licensing live dealer operations. eCOGRA – ‘e-Commerce and Online Gambling Regulation and Assurance’ is a non profit organization set up to provide the online casino industry with a best practice operating standards framework. The framework includes consideration of player protection, operation security, advertising practices and return to player audits. Casinos complying with eCOGRA’s standards are able to display the eCOGRA Seal, which has become a universally recognized sign of an operator of good standing. Interactive Gaming Council – The IGC’s stated mission is to serve as a collective voice for the interactive gaming industry and to ensure an environment of fair and responsible gambling. Like eCOGRA, the IGC offers a code of conduct that members should adhere to, which incorporates a range of fair play criteria such as truth in advertising, transparent audit trails, operation security and integrity. Remote Gambling Association – Based in London, the RGA was formed in 2005 following a merger between the Association of Remote Gambling Operators and the Interactive Gaming, Gambling and Betting Association. It provides a united voice representing the interests of its members which include some of the worlds largest (often publicly listed) online gambling operators. It also imposes a strict code of conduct on members. European Gambling & Betting Association – The EGBA is a EU region gaming lobby group whose principle mission is to promote fair competition for European online gaming operators and freedom of choice for consumers throughout Europe. 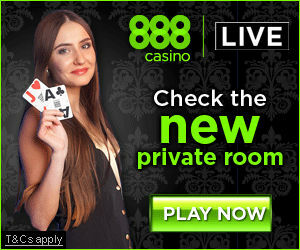 They are vocal objectors to any EU Members’ attempts to ban resident access to online gambling services simply to protect local monopoly operators. They also seek to support development of regulatory regimes and strict codes of corporate and social responsibility among members.